Supreme Court put a stop on Obama’s Clean Power Plan. It won’t stop the war on coal. The justices dealt a blow to Obama’s Clean Power Plan. Dirty energy sources are still doomed. Coal loaders along the Ohio River in Ceredo, West Virginia, in 2014. The Supreme Court appears to have dealt a blow to President Obama’s plan to make America’s power supply cleaner. While not ruling on it outright, the court issued a temporary stay on the implementation of the standards, which would have pushed utilities to reduce the emissions associated with power production. (Translation: Use much less coal.) Partisans of fossil fuels hailed the stay as a rare win in the ongoing war on coal. Investors in coal, owners of coal mines, and the politicians who carry their water consistently misunderstand the nature of coal’s decline. Yes, federal standards and rules such as the Clean Power Plan are an important part. But they’re not the only part. The war on coal is happening on many fronts. And the Supreme Court can’t do much about them. First, there are the states. Lots of people simply don’t want coal in their energy-generation mix. It pollutes, it’s a comparatively dirty business, and it’s the opposite of trendy. And utilities are regulated at the state level. Some 29 states have renewable portfolio standards, which dictate that a certain (and rising) percentage of power used in the state derive from sources other than coal and fossil fuels. Others impose air-quality standards that make coal an unviable source. On the East Coast, nine states with a combined population of about 41 million have entered a regional greenhouse gas initiative that effectively limits emissions. And guess what? There is virtually no coal generation in those states. Oregon is considering a law that would ban the use of coal-generated electricity in the state by 2030. Second—and this is the main factor coal partisans fail to grasp—there’s no greater enemy of coal than cheap natural gas. It’s abundant, difficult to export, and burns cleaner than coal. It’s also dirt cheap and a pretty good fuel for producing electricity. Utilities and power generators are switching from coal to natural gas in part for environmental reasons, but largely for economic ones. According to the U.S. Energy Information Administration, in November natural gas accounted for 33.8 percent of electricity generated in the U.S., up from 28.2 percent in November 2013. In the same time period, coal’s market share of electricity generation fell from 38 percent to 29.2 percent. A Supreme Court ruling won’t make natural gas more expensive. Third, power production is a business with long planning cycles. And over the past decade, the industry has been plotting ways to burn less coal—in part because of existing regulations and the threat of future ones, but also because alternatives are making more sense. According to the Sierra Club’s Beyond Coal initiative, about one-third of the nation’s coal-burning capacity has been retired or is on the road to retirement. So far this year, coal production is down by about one-third from the corresponding period in 2015. No Supreme Court ruling will change that trajectory. Fourth, renewables are taking a bite out of coal. Renewables aren’t just emissions-free. They’re now a viable business that provide long-term monetary savings to customers. The unexpected extension of the tax credits associated with building and operating wind and solar farms has given new life to those industries. The business is booming. Texas, Iowa, and other states in the plains are building massive amounts of wind-generating capacity. People are in the business of purchasing energy by buying it from renewable producers rather than from coal plants. That won’t change if the Supreme Court invalidates the clean power plan. 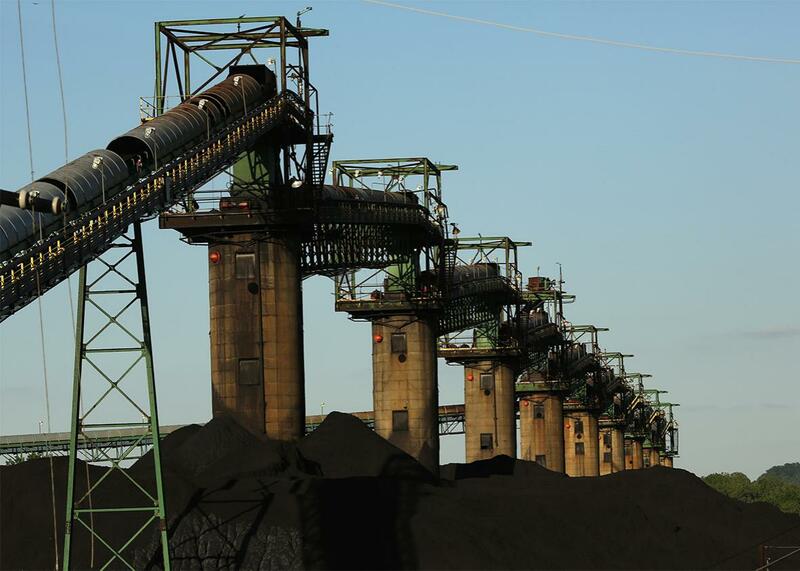 Fifth, nongovernment and nonstate actors are waging their own war on coal. Today, every global company has a plan to reduce emissions. They operate in the U.S., where the debate over climate change and what to do about it is continuing. But they also operate in many other countries where the debate is settled and the policy picture is clearer. Companies need to invest in renewables for their brand but also to operate effectively. So we see the rising trends of companies building their own emissions-free power plants on their roofs and making direct deals to purchase the output of renewable plants. Earlier this week, conglomerate 3M agreed to buy the output of a 120 MW wind farm. A class of high-status corporate officials with large budgets has now been given a mandate to build and acquire zero-emissions electricity. That won’t change if the Supreme Court invalidates the Clean Power Plan. So, yes, if the Supreme Court invalidates the Clean Power Plan, it will provide license to states in Appalachia and the Deep South not to modernize their electricity systems. But it won’t stop the rest of the country from getting on with its business. We’re seeing what I call coal nullification—companies like General Motors, cities like San Diego, universities, and states are all declaring that they don’t want to use it any longer. A single Supreme Court ruling won’t slow this trend.